Get two memberships in one! Members of the High Desert Museum can obtain a national membership from the Smithsonian as part of our Smithsonian Affiliate Membership program. 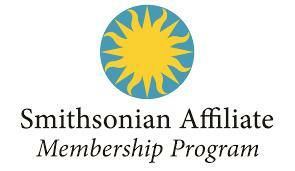 Annual cost for the Smithsonian Affiliate Reciprocal Membership is $25. For more information, contact the membership desk at 541-382-4754 ext. 244 or contact us. NOTE: Reciprocal admission benefits for a family membership must be accompanied by verification of a family membership by presenting your High Desert Museum Smithsonian Affiliate Membership card.